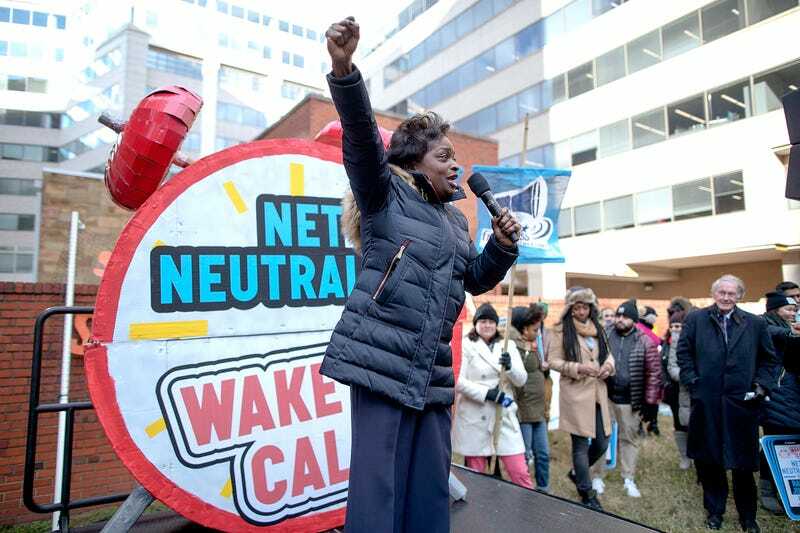 Nearly a month after the Federal Communications Commission voted to repeal the rules of net neutrality, lawmakers across the country are doing what they can to keep the internet open and free. In California, this comes in the form of Senate Bill 460. NBC Bay Area reports that the California Consumer Protection and Net Neutrality Act of 2018 would ban ISPs from using bandwidth throttling or intentional slowing of service, as well as paid prioritization, which would allow ISPs to pay a fee to get ahead of their competitors. The bill was introduced by state Senate President Pro Tem Kevin De Leon. It is backed by San Jose Mayor Sam Liccardo, who is also a member of the advisory board for the FCC. Liccardo told NBC that he believes the FCC is a victim of “regulatory capture,” which is a term used to describe federal agencies created to serve the public interest that end up advancing business or political agendas instead. Meanwhile, in Ohio, Republican Rep. Steve Stivers is co-sponsoring a bill similar to the one in California. WKBN-TV reports that the Stivers bill would make bandwidth throttling and content blocking illegal, but it would still allow for paid prioritization. Stivers believes that allowing paid prioritization will prompt companies to invest in things like broadband access while still protecting consumer interests. Reuters reports that Senate Democrats on Tuesday announced that they will force a vote on the FCC’s reversal of net neutrality later this year. Their plan is to make it a key issue during the 2018 midterm elections. Also on Tuesday, Sen. Susan Collins (R-Maine) gave the Dems the boost they needed by saying that she would back their efforts to overturn the FCC repeal. The FCC voted on Dec. 14 to overturn the rules of net neutrality that had been put in place in 2015 by President Barack Obama’s administration. On Jan. 4 they released their official order to undo those protections. Some FCC officials made an appearance at CES to discuss the implications of the net neutrality repeal. Guess who was noticeably absent? That’s right, Ajit Pai. Pai was supposed to speak on a panel at the event but backed out at the last minute amid reported death threats after his decision to repeal net neutrality. I guess people are serious about their internet, and Pai is serious about throwing a rock and hiding his hand as if he didn’t do it. Like I said before—keep that same energy, Ajit Pai.